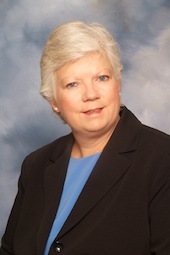 Vicki Hathaway Gonzalez is an experienced facilitator of real estate transactions. Vicki is known for her style of representation that insists that her clients are fully informed of their rights and obligations under their real estate contract, as well as the real consequences of their decisions regarding those rights and obligations. Vicki's interest in real estate started long before her graduation from John Marshall Law School in 1992. She started investing in real estate in the 1970's, then became a licensed real estate agent, and also taught real estate licensing for the Century 21 Real Estate Academy. As an attorney, she is able to address the transaction from all levels of involvement because she has experience in all those levels. Vicki has completed a wide range of transactions from the smallest residential condominium units to large commercial transactions involving complex lease, environmental and ownership issues. In all these transactions she maintains constant personal vigilance of the transaction so as to insure a smooth transaction for her clients.